Stand-Up Pouches: Best Choice for Food Packaging? 1 What is Stand Up Pouches made of? 6 How to Design Stand Up Pouches? Stand up pouches are the most convenient to use pouches which are used to store food, beverages, and non-food items too. They are so named because they remain in a stand-up position when they are fully filled. These stand up pouches keeps the encapsulated item fresh for a longer time as compared to other packets. 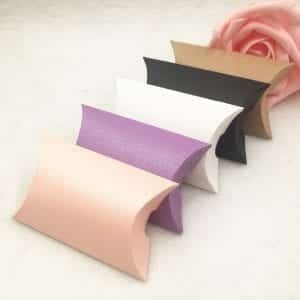 Moreover, the sufficient surface of these stand-up pouches can be used to write the logos or brand’s name in the most inimitable and opulent way which will certainly attract several onlookers. What is Stand Up Pouches made of? The most convenient to use stand up pouches are made from the blending of certain thermoplastics and aluminum foil. 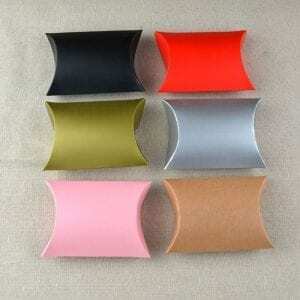 Thermoplastics are those plastics which can be molded into different shapes. Basically, stand up pouches are multi-layered pouches. Each one of these layers has its own significance and they are certainly the star of the show. The outer layer gives the durability whereas the inner layer keeps the food or any other item moisturized and vaporized. The first step in the production of these stand-up pouches is to pass through the set of plows which are used to draw a W-shaped reinforcement at the bottom of the pouches. This W-shaped reinforcement enables the pouch to remain in the stand-up position. Afterward, the zippers are attached on the inner side of the pouches which are then sealed using another sealing machine. The whole pouch is then sealed from the sideways. There are a number of features because of which these stand-up pouches should be stacked on your countertops. These convenient packets may be more beneficial than you can imagine. These stand up pouches are tightly sealed and doesn’t allow any air or dust particles to enter and corrode the inner contents. Moreover, the finishing of these stand-up pouches is done in such a way to make these convenient packets durable and long-lasting. The most important benefit of making these stand up pouches durable is that they can’t be crushed or damaged as compared to other glass-made or cardboard materials. This is the most beneficial trait of these stand-up pouches. Stand up pouches take up considerably less in the landfill as compared to other materials. According to a survey, these stand up pouches takes 9x less space in the landfill, as well as a warehouse which, in turns, benefit the whole ecosystem. Thus, stand up pouches can be referred to as the eco-friendly production. Stand up pouches are being manufactured at a very low cost as compared to other boxes. READ 12 Popular Stand Up Pouch Types: Which One Should You Use? It has been estimated that the manufacturing cost of these stand-up pouches is only a couple of cents which makes it very beneficial for packaging goods. Therefore, stand up pouches saves a lot of your hard-earned cash and gives out a maximum output. The most important and significant point to note about these stand-up pouches is that they can be used to store a variety of food items including the delicate ones such as chocolate, pet food, etc. The durable and long-lasting finishing of the stand-up pouches keeps your product safe and sound. 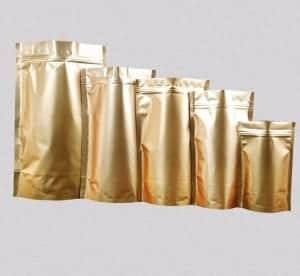 Moreover, these stand up pouches comes in a variety of types which are feasible to be taken along on longer distances without challenging the quality of the product. The key point to remember in the retail business is to make the product packaging top-class so that it attracts a number of buyers and enhances the brand value. This can be made possible by these stand-up pouches as their finishing is certainly eye-catching and they will draw more attention of the onlookers than imagined. If your packaging is done in the right way, no power on earth can stop you from marking your enclave in today’s world of retail business. Advantages and disadvantages go hand in hand. Every beneficial thing has some drawbacks which can’t be ignored. Likewise, stand up pouches also has some limitations. If the stand-up pouches contain a food item which is somehow sensitive to light, it may get contaminated if it contacts with light. The ingredients by which the food is made may react with light and will pollute the whole item altogether. This could happen if you use clear stand-up pouches. However, if you use metalized stand up pouches, which are impervious, it will prove costly. If you got your hands on the metalized stand up pouches, there is bad news for you. The metalized stand up pouches are made from plastic and aluminum. Now, if aluminum is heated under high temperature, it may react with the contents inside your packaging which, in turn, contaminates the food. Thus, it is strictly forbidden to use these stand up pouches in a microwave. This is the most important drawback which can’t be neglected. If you are using clear or see-through stand-up pouches, there isn’t any space available to imprint the benefits or your brand’s rate onto these stand-up pouches. This ultimately diminishes your marketing chances which prove to be a curse for your business. However, this certain drawback can be toned down by using a stand-up pouch which is made from other materials. Later in this article, we are going to unleash some types of stand up pouches from where you can choose the best fit. The advantages of the stand-up pouches certainly overpower the limitations. There are several very beneficial uses of stand up pouches because of which they are in a high demand ever since their production. Stand up pouches are used for snack packaging which is extremely light-weight. Their packaging should exhibit three major things namely; easy to carry, light-weight, affordable. The snack packaging stands up pouches exhibit all these three major qualities and hence, are the best option for snack packaging. Moreover, the finishing of the stand-up pouches is durable which safeguards the snacks. You can take advantage of these stand-up pouches by storing healthy food items in it. These convenient little packets can be used to store whey protein and other vigorous goods. Multiple layers of the stand-up pouches help to preserve the nutritional and alimentary values of healthy food. All of the stand-up pouches contain reclose-able openings or jets which can prove a major benefit for baby food packaging. These easy to carry and light-weight stand up pouches can be used to store baby food if you’re traveling. Moreover, it is easy to feed the baby through these perforations. Thus, stand up pouches come in handy. Stand up pouches have been significantly approved by FDA (Food and Drug Administration) in having no side effects. All of these stand-up pouches can be used to store solid, as well as liquid contents. Whether it’s tea, coffee or a juice, the aroma and the nutritional value of all the liquids remain satisfied. Moreover, these stand up pouches are environmental-friendly as compared to the plastic bottles. Hence, they get more importance over plastic bottles or plastic packaging. Furthermore, the multiple layers of the stand-up pouches keep the product safe from dust, clamminess, and corrosion during their transportation over longer distances. Not only food items but these stand-up pouches can also be used to store non-food goods flawlessly. Many non-food items can be stored in these convenient packets such as engine oil, bowling pins, powders, garden materials and much more. It’s up to you how you can harness the maximum benefits. As these pouches are easy to use, these can be used for a variety of purposes. Standard stand up pouches stands straight when they are fully filled because of the efficient reinforcement. Standard stand up pouches takes up 75% less material to manufacture as compared to other bags and boxes. Moreover, these standard stands up pouches can be fully folded once they are emptied. They are available in several sizes and are coated with food-grade, thus, keeping the food items safe and sound. Metallized stand up pouches are coated with another layer of aluminum foil. This aluminum foil protects from dust, humidity, and UV light. Thus, keeping the food contents safe from contamination. These metalized stands up pouches keep the food fresh for a longer time. However, these metalized stand up pouches may be costly. READ Metalized Pouches Vs Foil Pouches: Which One Is Better? These stand up pouches are made from a rice paper material which adds to the beauty of the stand-up pouches. It gives a unique and opulent look to the overall stand up pouch. The most significant thing about this rice paper stands up pouch is that they contain a window on one side of the pouch. This enables the onlookers to have a clear view of what they are purchasing. These rice paper stand up pouches are, nevertheless, the best choice. As the name indicates, these stand up pouches contain an oval window which gives out a little sneak peek of the contents inside. These convenient pouches are rich with easy to use, light-weight, and stand up capabilities. These windows stand up pouches offers a limpid view to the onlookers and thus, establishing a relationship of trust between the seller and the buyer. Clear stand up pouches creates an atmosphere of complete transparency to the onlookers. These clear stand-up pouches are laminated by a layer of saran which keeps the inside contents fresh for a longer time. The food items or snacks not only look fresh but they also taste fresh and appealing. This saran lamination keeps the oxygen and humidity away and keeps the food items greener. How to Design Stand Up Pouches? Designing is very important when it comes to packaging. Therefore, you must choose your design wisely and vigilantly. Let us give you three key points about how you can design your stand up pouch professionally. This is the most essential point to remember when it comes to designing. If your item is a snack or any other food item, you can choose the window or clear stand up pouch to create an aura of transparency to the onlookers. Furthermore, if you’re in the liquid packaging department you can go for metalized stand up pouches as they are lined by the aluminum foil which keeps the inside items safe and sound even during their transportation over longer distances. Once you’ve clarified the type of stand up pouch you want, the next thing is to choose the right layout for your product packaging. If the benefits of your product are perfectly exhibited on your stand up pouch, it will certainly enhance the brand’s sale. After looking at the contents inside, people usually check the benefits which they exhibit. If your layout is out-class and it impeccably exhibits all the essential benefits, it’s a win-win situation for your brand. Moreover, artwork and designing should be chosen wisely to make your overall packaging look aesthetically appealing. Depending upon the type of food item or beverages, you can select the right feature such as spouts, perforations, holes, handles, zip locks, and other reclose-able openings. This point is the most important one to remember because this point selects the height of convenience for its user. People usually opt for zip locks which are built on the inside of the stand-up pouches as they are the easier ones to use. This entry was posted in pouches and tagged flexible packaging, food pouches, pouch, pouches, stand up pouches, stand-up pouch.